The President of Panam Sports is in the Peruvian capital together with the Lima 2019 Coordination and Follow-Up Commission with little rest between meetings and visits to the sports venues that will host the Games. 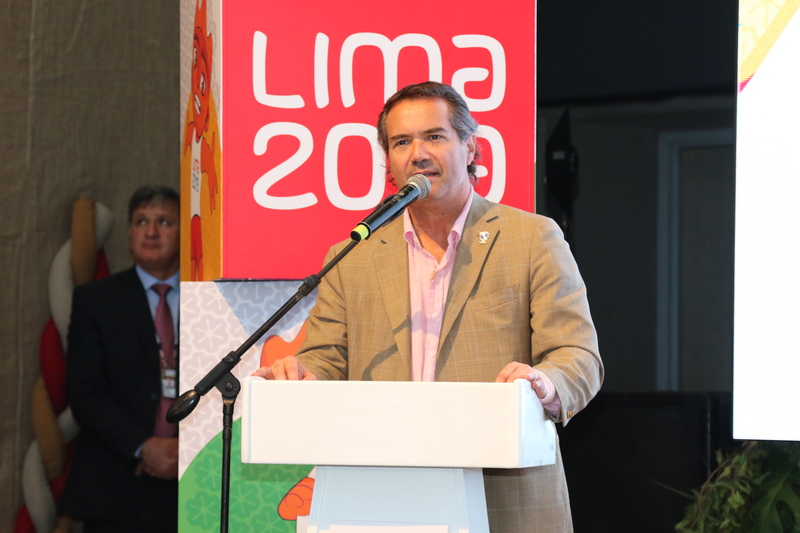 LIMA, PERU (April 11, 2019) — Panam Sports President Neven Ilic is focused on monitoring the progress of Lima as the Host City of the next Pan American Games during his latest visit to the Peruvian capital that is taking place this week. Neven Ilic began the week by meeting Peruvian Prime Minister Salvador del Solar at the Government Palace. The two authorities shared their views on the Games in a meeting that lasted more than 40 minutes, and reiterated their commitment to work together to ensure the success of the Games this July. “I am very grateful to the Prime Minister for this invitation. He has given his full commitment and the commitment of Peruvian government to host successful Games. You can tell that he is a person who really loves sport and is very enthusiastic about the Pan American Games,” said Neven Ilic. After the visit to the Government Palace, the Panam Sports delegates visited the VIDENA, the Pan American Village, the Sports Center of Villa El Salvador, the Equestrian Club, the Callao Sports Center, the Satellite Village of the Naval Academy, the Miguel Grau Coliseum, among other venues. The summary of the visit is very positive, except for one detail. “We’ve seen great advances in the infrastructure, I am really surprised with how Lima is advancing. They have world-class sports venues that will surprise all the athletes that come this July. Progress is being made, and traffic and transport throughout the city remains a point of concern. However, we have the commitment of all the authorities and we will work hard to make sure everything runs smoothly during the Games,” Ilic added. One of his final activities in Lima was the launching of the Official Uniform of the volunteers, judges and torch bearers for Lima 2019 that took place at the Lima Convention Center during the Peru Fashion Exhibition 2019. The uniforms are very unique to Peru, completely made with raw materials and the craftsmanship of Peru and its workforce. The clothing also contains both the Lima 2019 and Panam Sports logos, as well as the sport pictograms of the Games. “I loved the uniforms. The colors, the material, the design. And the fact that they are 100-percent Peruvian products is even better,” concluded Neven Ilic. Preparations for the Pan American Games will enter their final stage next week, as the 100 Day Countdown to Lima 2019 begins on Wednesday, April 17. The most important sports festival on the continent is now right around the corner. The Organizing Committee and the Peruvian people are organizing a series of activities to celebrate this important milestone. TO VIEW PHOTOS FROM THE VENUE VISITS, CLICK HERE. TO VIEW PHOTOS FROM THE LAUNCH OF THE VOLUNTEER UNIFORMS, CLICK HERE.